Texas health officials say they are kicking Planned Parenthood out of the state Medicaid program entirely over what they called "acts of misconduct" revealed in undercover videos filmed earlier this year. Republican state leaders, who vehemently oppose abortion, have worked for years to curb taxpayer funding of Planned Parenthood — despite the fact that its clinics may not receive such funding if they perform the procedure. Monday's decision means even Planned Parenthood clinics that only provide well-woman care, like cancer screenings, pregnancy tests and birth control, will also be cut out of receiving dollars from Medicaid, the joint state-federal insurer of the poor. The vast majority of Medicaid funding for Planned Parenthood clinics in Texas comes from the federal government. Texas spent just $310,000 from its own coffers on the women’s health organization in 2015, but it also dispersed $2.8 million in federal dollars to those clinics. A spokesman for the federal Centers for Medicare and Medicaid Services did not immediately respond to a request for comment. The state’s move follows the release of undercover videos produced by abortion opponents that show Planned Parenthood officials across the nation discussing how their providers obtain fetal tissue for medical research. Among those videos were recordings of staff at the Houston-based Planned Parenthood Gulf Coast, where two people representing themselves as research executives and providing fake California driver's licenses toured the facility in April. The videos have been criticized as being heavily edited and obtained under false pretenses. In Texas, GOP state leaders, including Gov. Greg Abbott, called for an investigation into the practices they purported to show. On Monday, the Texas Health and Human Services Commission’s inspector general, Stuart Bowen, wrote to Planned Parenthood Gulf Coast that the women’s health provider had violated state Medicaid rules and put Texans at risk of infection. Citing the sting videos, Bowen said Planned Parenthood officials disregarded federal law by agreeing to change the timing or method of abortions in order to procure fetal tissue for medical research. As a result, the state will no longer allow any Planned Parenthood clinics in Texas to receive Medicaid funding. Last year, Planned Parenthood clinics in Texas received $3.05 million in federal funds through Medicaid for family planning services like birth control and pregnancy tests. Planned Parenthood Gulf Coast spokeswoman Rochelle Tafolla described the state's efforts to block Medicaid patients from receiving care from any of the organization's clinics as "politically motivated." 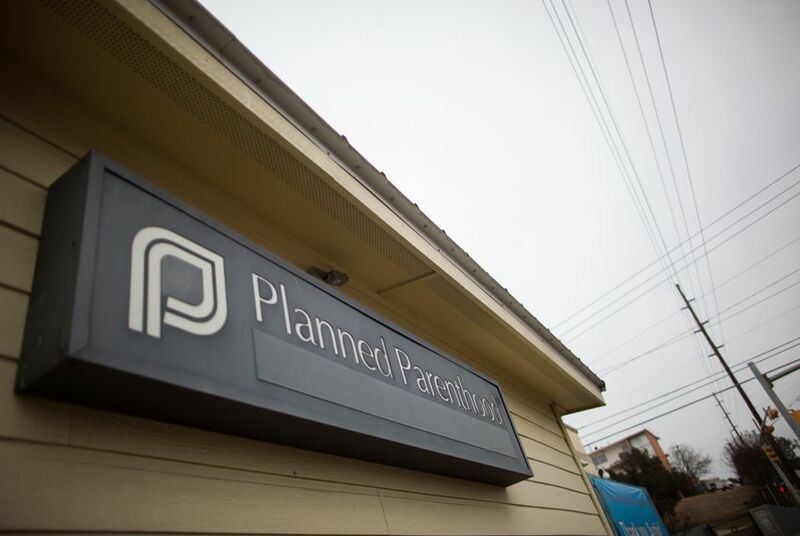 Planned Parenthood Gulf Coast does not currently participate in fetal tissue donation, the organization says, but did in 2010, in conjunction with a University of Texas Medical Branch study on miscarriage. "Tens of thousands of women are already going without care after years of policies aimed at blocking access to care at Planned Parenthood," Tafolla said. "Now Texas politicians are using a thoroughly discredited, bogus attack against Planned Parenthood as a shameful excuse to attack Texas women’s health yet again." But Bowen wrote that the move would not affect women’s access to health care in Texas “because there are thousands of alternate providers," which the governor echoed in a statement. “Texas has stepped forward and shown its unyielding commitment to both protecting life and providing women’s health services,” Abbott said Monday. Monday's decision was one GOP leaders heralded — and an effort they've been working toward for years. In 2011, the Republican-controlled Legislature pushed Planned Parenthood out of the joint state-federal Medicaid Women’s Health Program, costing the state a $9-to-$1 match from the federal government. The feds wouldn't play without Planned Parenthood clinics at the table, forcing state health officials to re-launch the program on their own dime. And this year, lawmakers wrote a provision into the budget prohibiting clinics affiliated with abortion providers — i.e., Planned Parenthood — from participating in the joint state-federal Breast and Cervical Cancer Services program, which provides cancer screenings for poor, uninsured women in Texas. Monday's move by Texas health officials comes on the same day a federal district court in Louisiana temporarily halted similar efforts by the state government there to cut Medicaid funding from two in-state affiliates. It's unclear what legal options Planned Parenthood has in Texas, or whether the federal government — the state's partner in Medicaid — could make its own move. “What's happening today in Texas should be a national scandal," said Dawn Laguens, executive vice president of the Planned Parenthood Action Fund. "It is completely outrageous that Texas officials are using thoroughly discredited, fraudulent videos to cut women off from preventive health care, including cancer screenings, HIV testing and birth control."